The CivMilAir Twitter account, monitoring airplane movements, published the trajectory of a NATO E3 Sentry AWACS early warning and control aircraft circling near the northern border of Syria. But what drew Twitter users' attention is the somewhat "unusual" shape of the recon plane's trajectory, which is normally circular. Twitterians didn't hesitate to mock the NATO pilots' art of drawing "phallic objects" in the skies, while performing recon. — Roman Bellic (@RomanBellic96) 11 апреля 2018 г. — 5.56 (@DonateToNRA) 11 апреля 2018 г. — Xalexon (@xalexon) 11 апреля 2018 г. 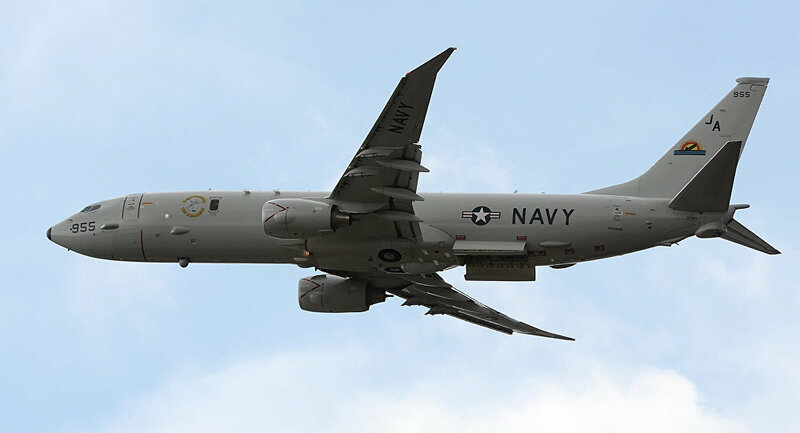 Another recon plane, a Boeing P-8 Poseidon maritime patrol aircraft, was spotted on the radars by the same Twitter account flying near the Syrian coast, where the Russian airbase Hmeimim and logistics base at the Tartus port are located. The aircraft left the Sigonella air base on Sicily on April 11, spending several hours circling at an altitude of 6.8 kilometers over international waters in the Mediterranean near the Syrian coast, flying as near as 50 km from the Russian bases. The US has accused the Syrian government of Bashar Assad of performing a chemical attack in Douma. Damascus denied the accusations, reminding that its entire chemical arsenal was destroyed in accordance with the Chemical Weapons Convention (CWC). Russia has said that it was a "false flag" attack. The Russian Defense Ministry warned the international community in advance several times about planned provocations in Syria. Moscow sent its chemical corps to investigate the site for alleged chemical weapons use, but it found no evidence of chemical agents in the area. Moscow and Damascus have invited OPCW investigators to Douma to officially determine whether such weapons were used. The OPCW has accepted the invitation. Washington, however, continued to threaten the Syrian government with a missile attack against its forces, despite the fact that no evidence for the incident, except a report by the White Helmets NGO, who have been seen working with terrorists, has been provided. Russia has warned the US against performing strikes against Syria, noting that it has its military on in the country and will react accordingly. Moscow has promised to intercept missiles launched against Syrian forces. Trump warned Russia to get prepared, because the missiles will be "nice and new and smart."